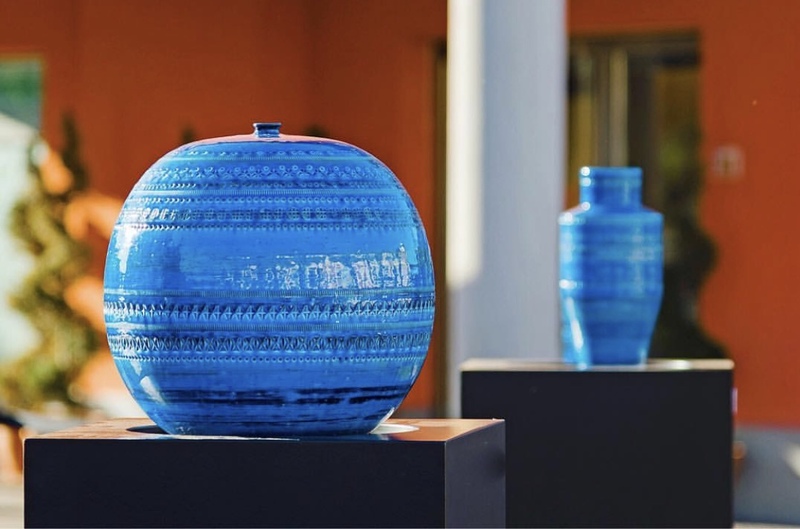 This year’s International Ceramics Festival, better known as “Cèramica 2018,” takes place June 15 – 17 in Montelupo Fiorentino. With a theme of “The Ceramics of Everyday Life,” the festival aims to explore how beauty can be derived from the functionality of ceramic arts. Nestled in the emerald Tuscan hills, a mere 12 miles southwest of Florence, lies the historic stage for the 26-year-old festival. The town of Montelupo Fiorentino has buzzed with artistic life, especially in the ceramic medium, since Etruscan times. Perhaps its citizens have an age-old proclivity for the art form. Or, the answer might lie in the village’s surroundings, where there is a surplus of the raw materials necessary for ceramics. Montelupo sits at the crossing of the clay-rich Arno and its tributary, the Pesa. Wood and brush perfect for firing saturate the nearby countryside. The predominant hues of the landscape, rich brown and bright green, were famous in the work of Montelupo ceramists for centuries. Bi-chrome “majolica” (painted pottery) was the trademark of the town before and during the Renaissance, and represented the handiwork of some of the most stylistically and technically advanced ceramic art in the world. Montelupo’s position in the heart of the Italian peninsula also allowed for an exposure to Islamic aesthetics through 15th century trade. This accounts for the addition of the characteristic patterns and cobalt pigments in local designs. With live demonstrations, ceramic artists from around the world, and 35 diverse installations, Cèramica 2018 brings the ancient history of the town and its art to life while simultaneously leaning in to the future of the craft. Throughout the festival, Montelupo itself is treated as an artistic medium, spaces within it repurposed and reimagined for the more than 30 events to take place—many taking the year’s leitmotif, ceramics in everyday life, as their point of departure. In his exhibition at the Palazzo Podestarile, “Materia Montelupo,” curator Matteo Zauli plays on the timeless form of the vase and the ideas of artistic collaboration and exchange. The diverse works of nine artists are presented in a continuation of last year’s “Materia Prima,” which created urban ceramic installations. Zauli is proud of the extraordinary “variety of languages” in the exhibition, which traverses sculpture, architecture, and ancient artistic media. One artist, Chiara Camoni, shaped her vases while blindfolded to accentuate the physical nature of working with clay. Completing the collection, Maddalena Casadei’s vases demonstrate the unique background of industrial design she brings to ceramics. Other happenings abound in every corner. One event, titled “Wunderkammer: Montelupo’s Chamber of Wonders,” focuses on the lesser known means of ceramics production in the tiny Tuscan town. Another, sponsored by the Union of Terracotta Kilns and the Experimental Ceramics Center, focuses on the opposing poles in the art form of “tradition” and “innovation.” Festival goers can also observe the “Mondial Tornianti,” a technical competition awarding participants who can craft the tallest clay cylinder-tower in front of a live audience. Spectators can also visit “FORMAE,” an exhibition market in the center of the city. Viale Umberto I, in the heart of Montelupo, will transform into a space for 30 local and international artisans to show and sell their pottery. 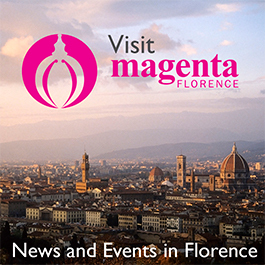 The work of young artists from the Meridiana School (located in Florence), composed of waste materials from the ceramic process, will also be presented. To win a stay in Montelupo, participate in Ceramica’s Instagram photo contest from through June 20. Just follow @montelupo_ceramic on the app and post a photo that evokes the ceramic arts in some way, adding a description that answers the question: “Why do you love ceramics?” Attach the tags #montelupo and #weloveceramics, and tag a friend in the photo.